View cart “The Great Composer” has been added to your cart. Rebecca Minor, an accomplished vocalist, songwriter, composer and pianist, writes pop music from the heart. Her catchy melodies, unpredictable harmonic turns, rich arrangements and deeply honest lyrics will draw you in and strike you to your core. Rebecca shares her story freely, in hopes that you, the listener, will never feel alone in your struggles and triumphs. 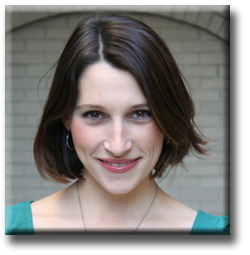 In addition, Rebecca serves as Co-Soloist at The Mother Church in Boston, MA. She writes beautiful contemporary solos in which she brings freshness and candor to sacred themes and Bible stories. Her contemporary-crossover sacred solos are melodious and accessible, with unpredictable harmonic turns. 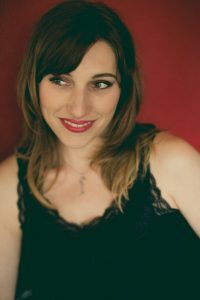 Rebecca is a vocalist, pianist and composer of sacred and secular music. She earned a voice performance degree from Ithaca College, and sang in operas, musicals and concerts, primarily in NY state. Highlights include her title role in the world premier of “Rosalinda” in Miami, as well as her role as Wendy in Leonard Bernstein’s concert adaptation of “Peter Pan” in NYC, work-shopped by the Leonard Bernstein Publishing Company. Rebecca has had the honor of performing at The White House with the Dickens Victorian Carolers, a professional a cappella ensemble she worked with for several years. Rebecca has sung as a soloist for various religious services for 17 years across the United States. In her twenties she began composing songs, based on her life in NYC. 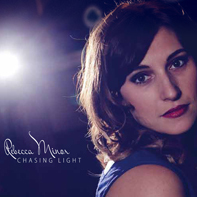 Some of these songs are are featured on her EP, Chasing Light, found on WatchfireMusic.com and iTunes. Rebecca’s interest expanded to writing inspirational/sacred songs, and these sacred solos for voice and piano are published on watchfiremusic.com. Most of those songs have been featured during interactive lectures with speakers Ginny Luedeman, Chet Manchester and Maryl Walter. Several have been featured on The Weekly Musician podcast. Rebecca is currently Co Soloist at The First Church of Christ, Scientist, (The “Mother Church”) in Boston, Massachusetts. During these services, which are streamed live to a global audience, she offers various styles of sacred music, including her original compositions, for which she accompanies herself on the piano. LOVED your song, “Spinnin’ My Wheels’... You’ve got a great hook there! And it is wonderful to hear commercial pop music sung by someone who can really sing!!!! I expect this to go places! Rebecca possesses heart as well as skill. Her pieces display the brilliance of her musical line, and the inspired accompaniment augmenting her lilting vocal! You are an amazing lyricist-composer-soloist-Keyboard player, Rebecca! Thank you. What a blessing. Your song yesterday was also so uplifting - weaving the Bible stories into the contemporary tone like that. So immediate. So touching. Thank you. Beautiful solos, beautiful messages, beautiful voice. I was totally engrossed in her story telling lyric, beguiled by a seemingly simple but catchy melody and as the song ended found myself choked up by the powerful message it conveyed.